Mărimea acestei previzualizări: 362 × 599 pixeli. Alte rezoluții: 145 × 240 pixeli | 500 × 827 pixeli. 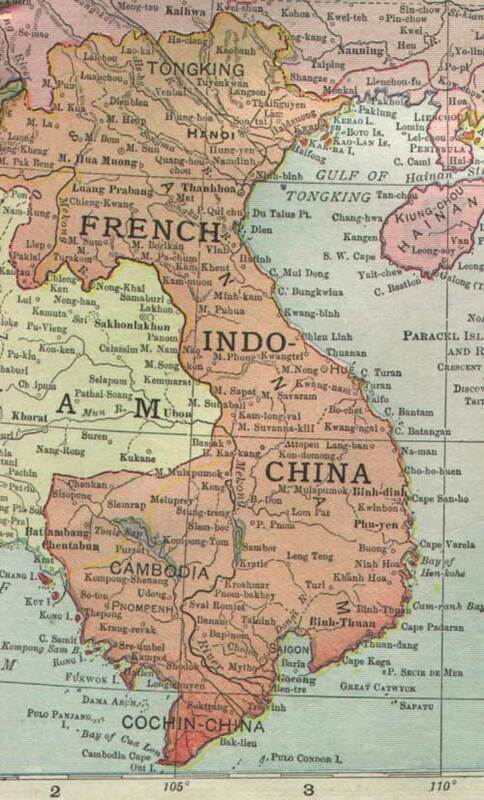 A map of French Indochina prior to the First World War. Unfortunately there is part of western Laos which is cut off in this scan.